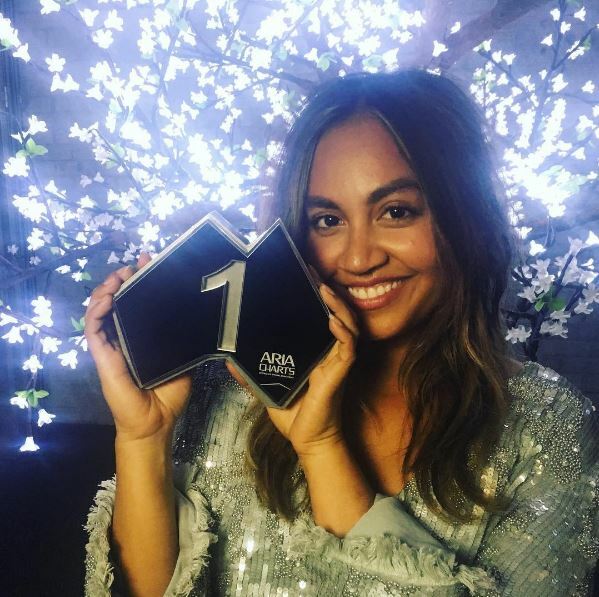 Jessica Mauboy is thrilled to announce that her brand new album, SONGS FROM THE ORIGINAL TV SERIES – THE SECRET DAUGHTER has today debuted at #1 on the ARIA Album Chart. Jessica is the first Indigenous Australian to achieve this incredible milestone in the ARIA Chart History. All of Australia has fallen in love with Jessica again since the debut three weeks ago of the Seven Network hit show, The Secret Daughter. Having already been applauded for her key acting roles in The Sapphires’ and Brand Nue Dae, Jessica shines in The Secret Daughter and has firmly put her own original stamp on its accompanying 17-track album that features some impressive and dynamic covers of familiar songs, alongside a handful of brand new original recordings, all of which encapsulate the storyline to good effect. The album inspired by The Secret Daughter is equally fresh as it is familiar. It captures a salt-of-the-earth honesty that is in no doubt a reflection of its leading actress Jessica Mauboy. At the same time, it is important to note that this is a character-driven project, and the songs speak to the storyline and Billie Carter’s life and journey. Jessica Mauboy has excelled (again) in creating an artistic interpretation that takes the audience with her on an emotional and reaffirming journey of discovery.